Market segmentation is the process of dividing a market into different consumer groups. This allows brands and businesses to target specific groups in advertising and marketing materials. 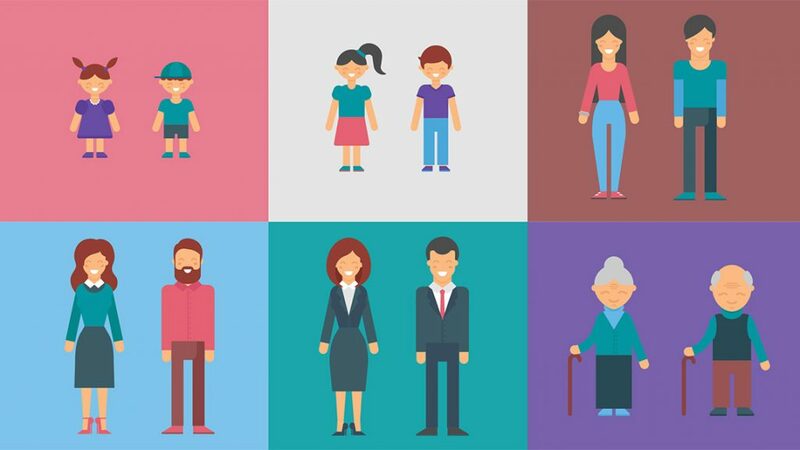 Generational marketing is a popular form of market segmentation. Often, marketers will direct their attention to certain age groups. However, in order to do this effectively, it is important to know what those age groups are. The Generation Y Years, among others, are varied among a variety of sources. To finally settle the score, we have compiled a complete overview of each generation so that you can market to them more effectively using top marketing ideas for small business. Baby Boomers were best known for their large numbers. Today, they are currently easing into retirement or paying off a second mortgage which makes them an important target market for many businesses. The Baby Boomers are widely considered to be the generation born between 1946 and 1964. Brand loyal and individualistic, this generation is drawn in by traditional advertising such as commercials and print ads. If you are looking to partake in generational marketing, be sure to consider those born between 1946 and 1964 as the Baby Boomer generation. Generational marketing is often overlooks the overlap with Generation Y. However, we have clearly identified the Generation Y years in order to help bring X to the forefront. Born between 1965 and 1980, Generation X is a group that grew up valuing independence and brand labels and caring less about fundamental analysis. If you hope to advertise to them, you will need to consider their preoccupation with individualism and break through their fear of commitment. The generation is concerned with learning, exploration and the opportunity to make a difference. They want options, so be sure to provide that if you are targeting this specific segment. The Generation Y years are where this type of market segmentation becomes the most convoluted. Many sources consider Generation Y and Millennials to be interchangeable, while others clearly define their ages differently. Some consider Generation Y as a group that dates back to the mid 70’s. However, the general consensus seems to be that they are synonymous with millennials, making the Generation Y years fall between 1980 and 1995. To market to this group, you will have to consider their social activism, connection to technology and immense buying power. Millennials recently overcame Baby Boomers as the largest generation, making them a coveted segment for many businesses like Netflix International. It is important to note the specific years of Generation Y so that you can properly market to them based on their life experiences. Finally, Generation Z is a new and largely untapped market. Born between 1996 and 2010, this group is only now entering the market with their own buying power. Even more tech-savvy than Millennials, this generation has grown up in the age of rapidly evolving product design technology. Currently, they are considered to be team players who are both innovative and independent learners. This is an important market to begin considering because they currently make up a quarter of the U.S population. No generational marketing post is complete without a nod to Millennials. Millennials are the group with the most buying power of all. If you want to reach Millennials with content, make sure it is visual. Millennials have been proven to best respond to visual content, like images and videos. They are also less driven by discounts. Instead, they are influenced by social trends and peer opinions. Also be sure to have an active social media for business if you want to reach this age group. These are things that you must know if you plan to properly utilize generational marketing strategies on Millennials. Generational marketing requires accurate information regarding these various age groups. In order to reach your target market properly, you will need to understand the culture and time period in which they grew up. Be sure to refer back to this post to better understand the Generation Y years and Baby Boomers for your promotional needs.